You have got the best set of ﻿﻿﻿﻿﻿Drivers, Irons, and Wedges. Even the golf ball that you use is extremely good. But, if you are unable to precisely estimate the distance between you and the flagstick, then what is the point of having the best drivers and golf balls? Surely, there must be a better way of estimating the distances than through the complex mathematical distance calculations. Compact and accurate, it is the most advanced rangefinder. Easy to operate, it is ideal for golfers playing in tournaments and also different playing ability levels. It is a powerful laser rangefinder that is waterproof and tour certified. A waterproof rangefinder with prism lock technology, it has an advanced laser technology which provides faster measurements. This rangefinder has the dual display and JOLT technologies, which make it an extremely reliable one. It is a lightweight rangefinder with a compact design with an exclusive Pin Acquisition Technology. A lightweight and compact rangefinder, it boasts of First Target Priority technology and is USGA Compliant. This rangefinder has the DNA rangefinder engine and is compact with a durable design. It is a very versatile rangefinder that is ideal for anyone trying to improve their game of golf. Read on to get more information about each rangefinder. Here is a detailed review of the different rangefinders from different brands. This review highlights the advantages, disadvantages along with giving an overview of each product. In the end, you also get the verdict about each rangefinder. Read along. The B﻿﻿ush﻿﻿nell Tour Z6 Jolt Rangefinde﻿﻿r is by far one of the best rangefinders that I have encountered. And hence, this one tops the list. This rangefinder is very compact, precise and one of the most advanced rangefinders with some stunning features. This product has addressed some of the troubling features present in its predecessor and has certainly come out as a winner. The JOLT technology helps you lock onto your target with ease, making you quite confident about your shot. Apart from this, it has a decent magnification and is also fully waterproof. The Vivid Display Technology is a great feature that works in all lighting conditions, giving you great contrast and sharpness every time. It is a great quality product that is very compact. Carrying it will never be a problem. It gives superior accuracy, which is what everyone in the game of golf looks for. With the JOLT technology, it is easy to lock onto the target. It works well even in low light situations. A few users have trouble understanding and using the Jolt technology to its optimum level. This rangefinder is really ideal for someone who plays regular golf. It gives accurate distances within very less time, improving the game very significantly. It is a game changer. It is a must have tool for most of the golf players who love to play the game at all times. The Bushnell Tour V4 Jolt Rangefinder Slope Patriot Pack has some great innovative and patented technology like the slope technology as well as the jolt technology. Once the target distance is achieved, and the laser has pinned the flag, it indicates with short vibrating bursts. Complementing this is the slope technology that gives the compensated distance, depending on the incline or decline of the slope. This makes it very accurate too. The slope technology is a real game-changer here. It is nice and compact in size. It does not have an enormous range. Magnification could have been a tad better. The Bushnell Tour V4 Jolt Rangefinder Slope Patriot Pack is a rangefinder that is suitable for all kinds of players, who are looking for accurate distances and ergonomic design. However, the range and the magnification could be better. Apart from these, which you may not even notice, it is reasonably priced, and it comes along with a carry case. 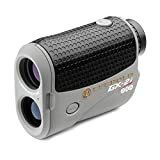 With premium HD optics and 7x magnification, compounded with the JOLT technology, the Bushnell Pro X7 Golf Laser Rangefinder gives incredible precision and accuracy. Though the price is on the higher side, its features are unbeatable. In fact, it is a preferred choice among PGA players. The Bushnell Pro X7 has a great range, from 5 yards to 1 mile. It is larger and bulkier, requiring a two-handed operation. It is a very powerful rangefinder. The precision and accuracy that this one gives is very superior. The range is also great. There is no more guesswork when you get your target distance. It vibrates when the target distance is achieved. Even first time users have found it easy to use and operate. A few users have found the Pro X7 to be very bulky. Because of its power packed features, the price is on the higher side. This rangefinder is a favorite among pro golfers. The ease of use is such that even first timers have found it very impressive and easy to operate. The best features of this rangefinder such as the higher magnification, quality, and unparalleled range are all some of the parameters that attract pro golfers towards this rangefinder. So, if the price is not an issue, then this is a great addition to your golf equipment kit. The Leupold Gx-2I2 Rangefinder is a classic piece where great features have been added every other time to make it a good rangefinder in the market. This rangefinder comes with the best slope and is also USGA approved. With a digitally enhanced accuracy engine along with an advanced infrared laser, the Leupold Gx-2I2 gives faster measurements. It has a good build quality and features. 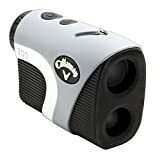 An affordable rangefinder, it is a hit with many players. It is great value for money. It has many impeccable features, such as the slope, temperature and club recommendation etc. Its accuracy is far more superior. Sleek and compact, it is also light in weight. It conforms to USGA standards. Even though a good rangefinder, the Leupold Gx-2I2 does not completely eliminate the background items. With its affordability and great value for money, this rangefinder is suitable for many golfers, as it comes with great features and supreme ease of use. The incredible accuracy that it offers is a plus point that attracts many golfers, especially first timers. 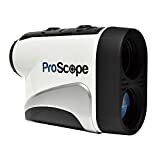 With the LofthouseProScope 400X Golf Rangefinder, you get some cool features along with the best price tag. It boasts of Pin lock technology, some good magnification (6x times magnification), and pinpoint accuracy. The range finding performance is also something that is interesting, and it stands at 5 to 400 yards. It is legal for tournament play. It is USGA approved and legal to use in tournaments, as it measures distances and not slope. It is very affordable, a great hit among budget rangefinder seekers. It is compact and has an ergonomic design. The measurements are displayed really fast. It does not have slope function or the jolt function. The build of the rangefinder could have been better. If you are looking for a good rangefinder with some tight budget, then this rangefinder could be the answer. The biggest advantage is that it measures distances accurately and is tournament compliant. But if you are looking at slope functions and vibrate functions, you should look elsewhere. Priced at a moderately higher side, the Bushnell Tour X Laser Golf Rangefinder has some really cool features. The remarkable feature is the interchangeable faceplate, which gives a configuration option. This certainly makes it legal for USGA tournament use. You can use this rangefinder every time to improve your game of golf. The accuracy that this rangefinder gives is supreme with great magnification. The exchangeable faceplate technology is the highlight of this rangefinder. Adjustments can be made in a matter of a few seconds. The jolt technology and the dual display technologies are extremely good. It conforms to the tournament rules. It can be used with the slope function for practice sessions. It has a sturdy and rigid build. A few users have found this bulkier due to its sturdy build. There are two production models, confusing the users at times. 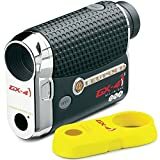 If you are okay with the slightly higher price and are super impressed with the exchange technology, then this rangefinder should be worth the purchase. It comes with really good features and a sturdy built that attracts many buyers. The Callaway 300 Golf Laser Rangefinder is a performance packed rangefinder that takes center stage due to its core features. Even though it has great competition in its sector, the features present here out beat the other rangefinders. The core features are well executed, and it has a hassle free operation. Compact in size, it is very stylish in its looks. It has hassle free operations and good ease of use. With its compact size and stylish looks, it is very impressive. It has superior accuracy and pin seeking precision. The build quality and features are slightly minimal. Of course, this is what also makes it great value for money! If you are looking at all the best features to be present then the Callaway 300 Golf Laser Rangefinder is not the one for you. But, if you want stylish looks, compact design, ease of use and value for money along with the core features like aiming and locking the target, then you get it here. This is by far the most super light and tiny golf rangefinder that you can find in the market. It is so compact that it can fit easily in a pocket. It has its core functionality is in place and does its job well. It has high ease of use. It is very compact and sleek, making it the preferred choice of golfers looking for something lightweight. The clarity that this device offers is supreme. It comes with eight-second continuous scanning along with a target priority technology. It has a good range and gives accurate readings. It works well on intermediate targets. It is priced very competitively. The tiny size may be an issue for golfers who are used to bulkier and sturdier models. While using the device, you need to have steady hands as the device is small and compact. There is a tendency at times to miss the target. 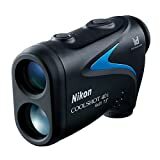 If you have steady hands and want a sleek and stylishly compact golf rangefinder, then the Nikon Coolshot 20 Rangefinder is for you. It has its core functionality in place and despite its small size, does its job well. The only hitch is that it needs steady hands to operate. The Leupold GX-4I2 Rangefinder conforms to the USGA Rule 14-3 and is tournament compliant. It has features that help you play well on the course. The build quality and construction of the device is remarkably good. It has a durable aluminum body, with a DNA rangefinder engine and OLED display. Agreed that the price of this golf rangefinder is on the higher side, anyone who is serious in the game of golf wouldn’t mind investing in this device. The specifications and the high ease of use are really worth considering in this device. The L﻿﻿eupold GX-4I2 comes with two faceplates, allowing players to choose the best features according to their playing style. The ranging information that is provided is accurate and the device also comes with a club selector feature. Build quality and construction is good. With a durable and compact design, it is a versatile piece of equipment that does wonders. It covers many aspects like altitude, slope, and temperature. It also gives a club recommendation. It grips very well in the hand. The cost factor is definitely a negative point for many golfers. This is a rangefinder that is suitable for players with a higher budget. The features are unbeatable, with great ease of use. Nikon is a brand that has a good name. And with its entry into golf rangefinders, you can expect the same kind of reliable product quality and features. The Nikon Coolshot 40i Rangefinder has multiple modes such as slope adjusted distances, to choose from, making it a versatile device. The device is very efficient in size, weight, features and good build quality. This product is highly endorsed by European Tour Caddies Association. Accuracy wise, it is good, along with having a great ergonomic design. Small and compact, it is highly recommended for users wanting sleek stuff. It gives a competitive edge to the players, because of the different modes. Very easy to use, it is suitable for all types of handicappers. It has great price affordability. It is a durable device which has good accuracy. The range of this device could be a tad better. Oily spots and floaters tend to appear sometimes. 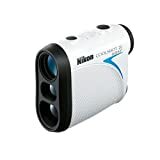 The Nikon Coolshot 40i Rangefinder is suitable for all types of handicappers, who are looking to improve their game. It is definitely worth the price, because of its ease of use and durability. Buying a golf rangefinder is something that should be done after reading customer reviews and gathering as much information as possible. This buying guide takes you through some important points that should be considered while choosing a golf rangefinder. Range – The maximum distance that any rangefinder is capable of measuring is called the range. This is a crucial factor in choosing a good golf rangefinder. Assess the range of the different models and then make your purchasing decision. If you are on course and your golf rangefinder is unable to guide you about the accurate distance, then it certainly is a waste of time and money. Accuracy –This is something that you get to know mostly from the customer reviews. In all probability, brands will propagate good accuracy for their rangefinders. But the actual accuracy can be clearly mentioned by the players themselves. Tournament Compliant – Golf rangefinders should be tournament complaint or USGA compliant. This is a parameter that you should definitely give importance to while choosing one. As a rule, devices with only distance measuring function are allowed. Slope functions cannot be used in tournaments, even though this feature really helps in practicing and improving the game. Display and optics – Things such as display, zoom or magnification are also parameters that require consideration. The zoom factor is sometimes very critical. Not all rangefinders come with the same magnification. A LED display with legible display features is definitely preferred by most golf players. Build quality - The build quality of a golf rangefinder must be good. It should be well built and durable. The rangefinder should also be able to perform well in all weather conditions. Being waterproof and also fog proof are some added advantages. Size and weight – The size and weight of the golf rangefinder are extremely important to consider. Some rangefinders are bulky, requiring a two-handed operation. While some are compact in size having all the advanced features. Choose the one that is perfect for your use. Ease of use – Any user will certainly give this parameter utmost importance. Players do not want to waste time fidgeting and trying to get the right working formula for their rangefinder. While having loads of features is a great option, the navigation and ease of use are really important for even non- tech savvy golf players. Affordability – Golf rangefinders come in all sizes and budgets. But the one with good features and affordable price tag always stands a chance of being the favorite. But, remember, not all affordable golf rangefinders have the best of the features. There is a compromise in some department or the other. And if are ready to dig deep into pockets, to improve your professional golf game, there are some extremely good golf rangefinders. Calculating the distances between points is so much easier and faster with a golf rangefinder. You do not waste time in lengthy calculations and reading from the yardage charts. Club selection becomes fast, as you know the range that you want to hit. You can play more golf and far better with a rangefinder. The slope function enables the players to assess the inclines and declines very well. This definitely adds value to the game. Although this feature is not compliant with the USGA standards, many players use this for practice sessions as well as for social rounds. You can eliminate the guessing work and play accurate shots. This certainly boosts your confidence levels while playing the game. A golf rangefinder is also a great data collection tool. It lets you know information such as the distance achieved, the club used, etc. There will certainly be a good improvement in the overall performance of the game, with a golf rangefinder. The laser technology in the golf rangefinders helps you in hitting the target spot on, without room for mistakes. These instruments are very trustworthy and have great durability. So, your investment is safe and helps you be a pro at the game of golf. The latest technologies are incorporated in the golf rangefinders, making them really sophisticated. Analyzing in depth about the many details of the different rangefinders is by no means a simple task. Each rangefinder has its own capabilities and features. While some come with extra features, they also have a higher price tag. There are of course some users who prefer to keep it simple, with just the core features, as they are looking at affordability. Finding the right Rangefinder is no longer a problem. With so many brands in the market, coming up with so many variants, suiting to the needs of different golfers, it is a great choice out there. If you are flexible with your budget, there are some really awesome rangefinders. You can find the perfect rangefinder that improves your game, without much hassle. The Bushnell Tour Z6 Jolt Rangefinder is one such product that I recommend, after scrutinizing many other products. Buy it and enjoy playing your game of golf with greater confidence.